Baselworld 2016 ended on Thursday, March 24th, the same day I finished Anthony Eglin's mystery, The Blue Rose (Minotaur Books, 2005). In one of my previous posts, Botanical Companions: J.G. Ballard and Chaumet, as is the case in this one, an author and a watchmaker, i.e. Eglin and Chopard are connected by my old friend happenstance. 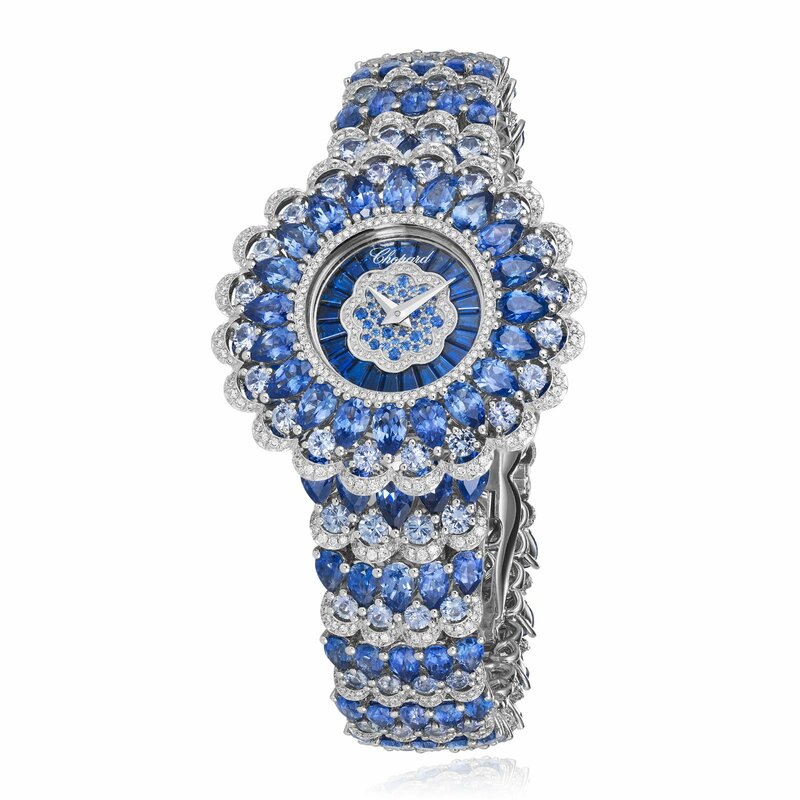 The color blue is the bridge between the Eglin's novel and Chopard's Precious Couture wristwatch. Coincidentally, Isabelle Guignet wrote in her Swiss Watch Authority WorldTempus post on March 24th, "Blue is the colour — Cool blue is the hottest colour for this year’s Baselworld ... in every shade from cerulean to royal blue." So let's explore Eglin's haute horticulture work and Maison Chopard's haute joaillerie creation. In doing so literature can enliven horological artistry. 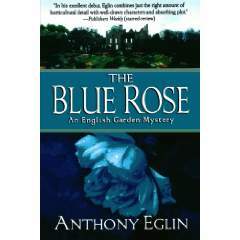 In the Blue Rose, the main character is the book's namesake, a blue rose bush. Rosarians know that in nature, this is an unnatural bloom. Roses do not produce delphinidin, the blue colored pigment needed to produce this wonder. Throughout garden history, such a colored rose is a beautiful genetic aberration with discordant qualities of both attraction and lethality. The presumptive owners of the mysterious hybrid are an English couple, Kate and Alex Sheppard who discover the flowering rarity when they purchase an English country home and its overgrown garden. The rose and rights to its hybridization will be worth millions to the international rose industry. In an effort to hide the rose's existence until it can be strategically marketed, Alex and Kate use the code name, "Sapphire" instead of referring to it by its color. Additional characters, like blooms and thorns, spring from the flower's find: a retired Edinburgh botanist, scheming buyers, lawyers, nursery owners, cryptographers, police inspectors, and murderers. All are critical to the narrative. 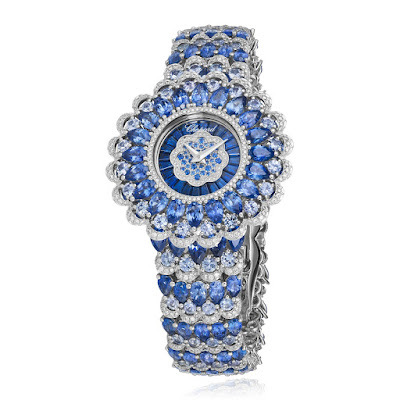 Chopard's Precious Couture wristwatch, making its debut at Baselworld 2016 reflects the Blue Rose in one very special, overwhelming way -- its pulsating sapphire adornment radiating in profusion from its central corolla. In all its grandeur, the watch is 18 ct. white gold with 25 cts. of pear-shaped sapphires; 7.5 cts. of pastel blue sapphires, and marquise-cut sapphires and brilliant cut diamonds. It's a wondrous showstopper, at home in the international trade of rarefied, luxury time. It can be owned but not ultimately possessed for posterity -- just as a blue rose would be.